In designing a small home office that had no existing furniture, we found how important it was to add in some “old” elements to the space that was beginning to fill in with so many new pieces. 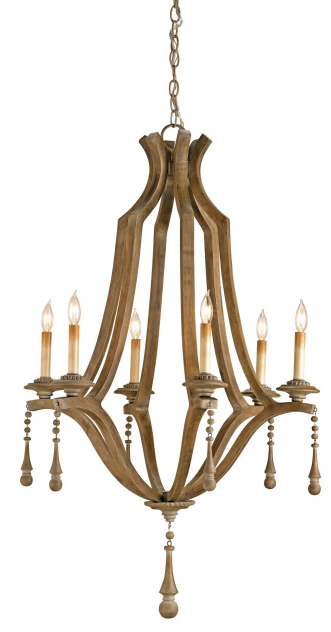 We found this great chandelier that has the texture and feeling of and old piece, but it is actually new. Adding in elements that are new but look old, antiques, or even thrift store finds creates character and adds the variety that is much needed in a room. Mix the worn finishes with touches of sparkle. It adds so much interest. Do you like to mix something old with something new?